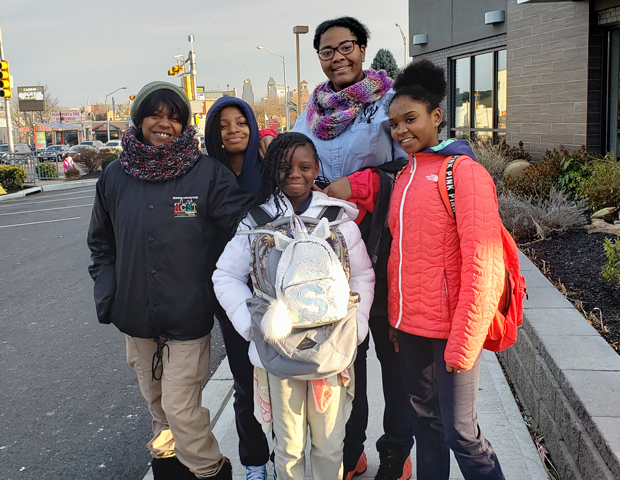 As part of an ongoing series highlighting some of our Grantees, we’re excited to tell you about the Newark Community Street Team. The Street Team launched in 2016 and focuses on reducing crime in their community through outreach and intervention. They are one of the many L+M Grantees who are making a positive impact in their communities. Earlier this month, the Street Team’s tireless outreach initiatives were recognized by Newark Mayor Ras J. Baraka as a contributing factor in the decline in overall crime in Newark in 2018. Local Newark residents make up the Street Team and act as outreach workers in the community. They engage with youth and young adults (ages 18-30) through a variety of programs including safe passage for students traveling to and from school, outreach, case management, referrals to services and conflict mediation. They also host regular round table meetings to discuss public safety. L+M is proud to support the Newark Community Street Team to deliver case management and other services for and with residents of our properties in and around Newark including Georgia King Village, Zion Towers and the Somerset and Livingston buildings, as well as community safety programs for the surrounding community. Watch local news coverage about the Newark Community Street Team on NJTV here.